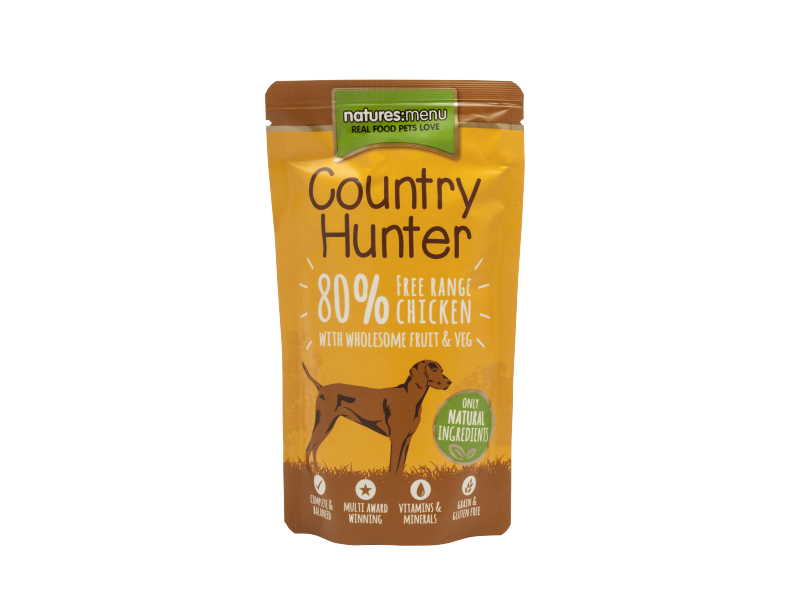 Gently steam cooked to retain goodness, these new additions to Natures Menu’s premium Country Hunter range are available in 4 single protein varieties for dogs. 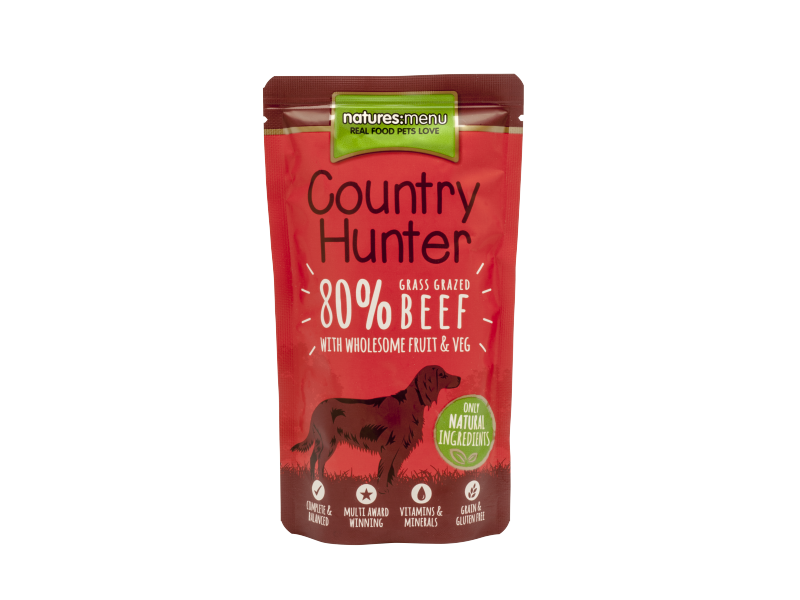 The Country Hunter dog food pouches are made with 80% real meat and wholesome superfoods such as sweet potatoes, green beans and mixed berries. 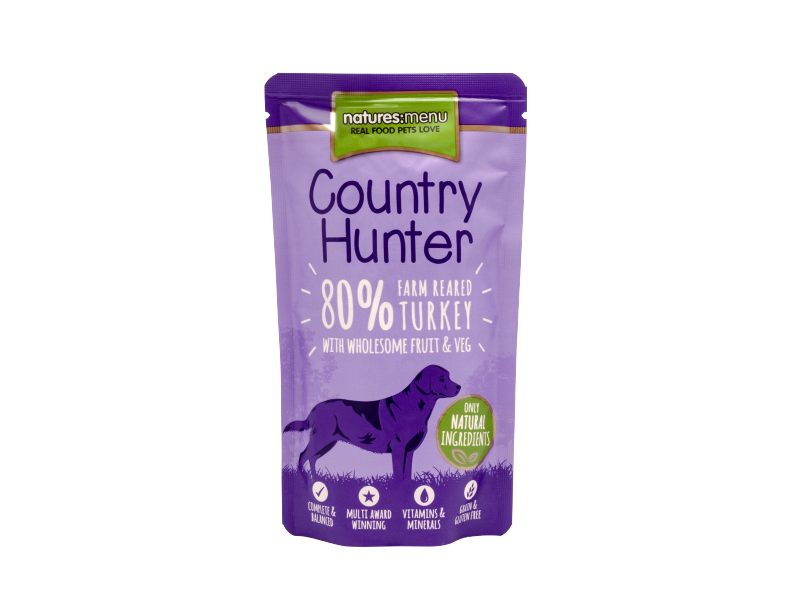 The single protein options include Free Range Chicken, Succulent Duck, Grass Grazed Beef and Farm Reared Turkey. 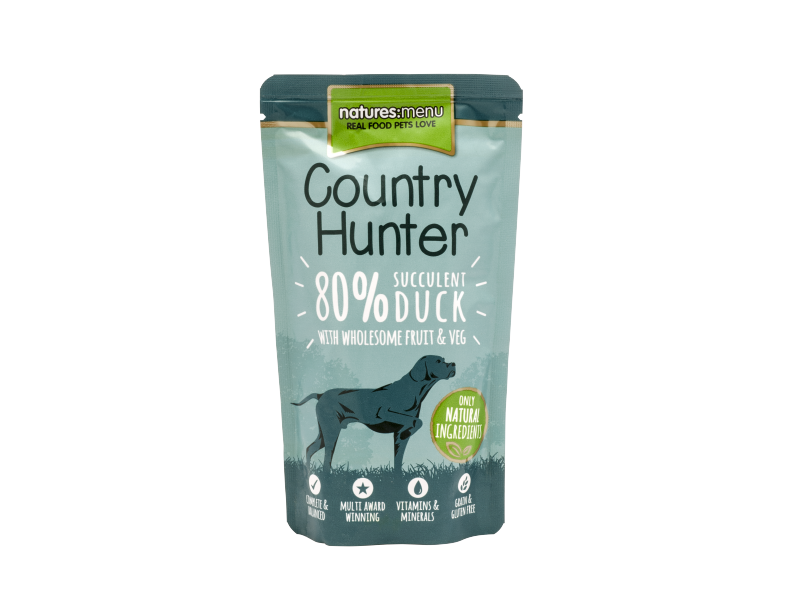 With a pouch weight of 150g, the portions are perfect as a daily diet for small breeds and as a convenient alternative to larger breeds fed our single protein raw meals –they’re also perfect as a healthy Kong filler! 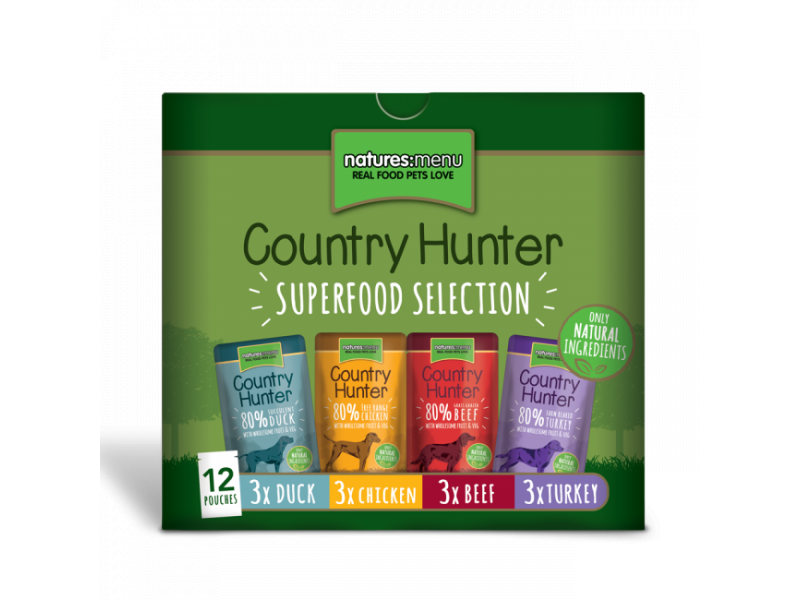 There are currently no questions for Natures Menu Country Hunter Dog Pouches - be the first to ask one!